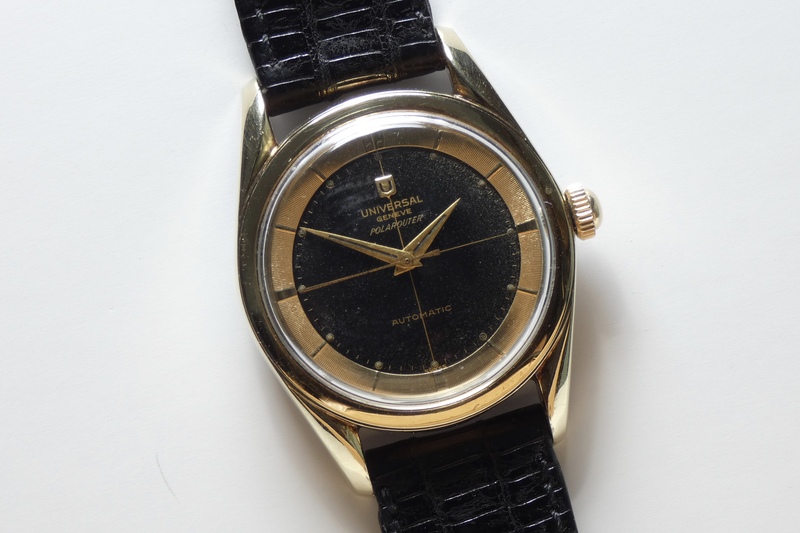 Dial: Glossy black dial with gilt crosshair and gilt text. Applied gold logo. Original lume plots. Dauphine hands with original lume. Gold marker ring with narrow indices, characteristic of a Polarouter. Case: 35.5mm. Gold capped. 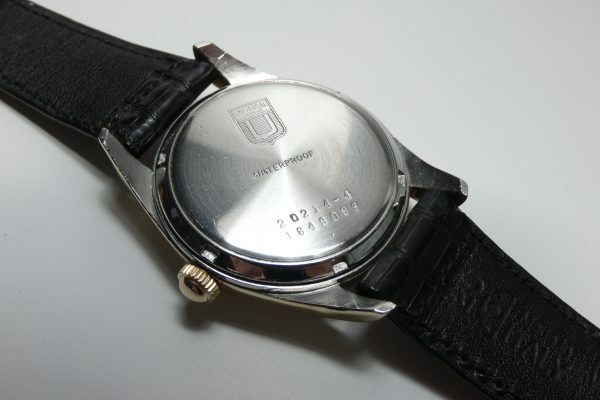 ‘HF’ stamped Huguenin Freres stainless steel case back. Bombe lugs. 19mm lug width. 6-key caseback, characteristic of a Polarouter. Logo engraved to case back as well as case reference and serial numbers. Unsigned crown. Movement: Universal Geneve self-winding Cal 138SS ‘bumper’ movement. ‘HOX’ US import mark to regulator plate. Condition/Notes: Gold capped case in excellent condition.